The more pure the essential oil, the more powerful the results. During the CPTG Certified Pure Therapeutic Grade process, each batch of oils is subjected to extensive and rigorous testing that ensures the purity, potency, and consistency of the essential oils. 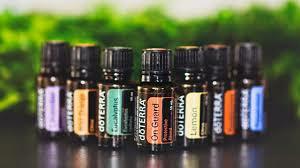 When you choose doTERRA, you are choosing essential oils distilled from plants that have been patiently harvested by experienced growers from around the world. Proper distillation requires a consideration for the uniqueness of pressure, temperature, time, and harvesting practices, each of which may be as diverse as the plants themselves. A poor distillation process can alter or destroy the necessary aromatic compounds that comprise the essential oil, leaving a substance far different from the intended goal. For this reason, the best distillation artisans dedicate their efforts and work to only a few select plants. This focused effort develops proper knowledge and experience, helping ensure congruency between the oil chemistry of the plant and its distilled form. One way to recognize essential oils that are disguised as more pure than they actually are is to look at their labels. If lemon oil at the natural food store says ingredients, 100% lemon, then why does the label say caution: do not ingest?